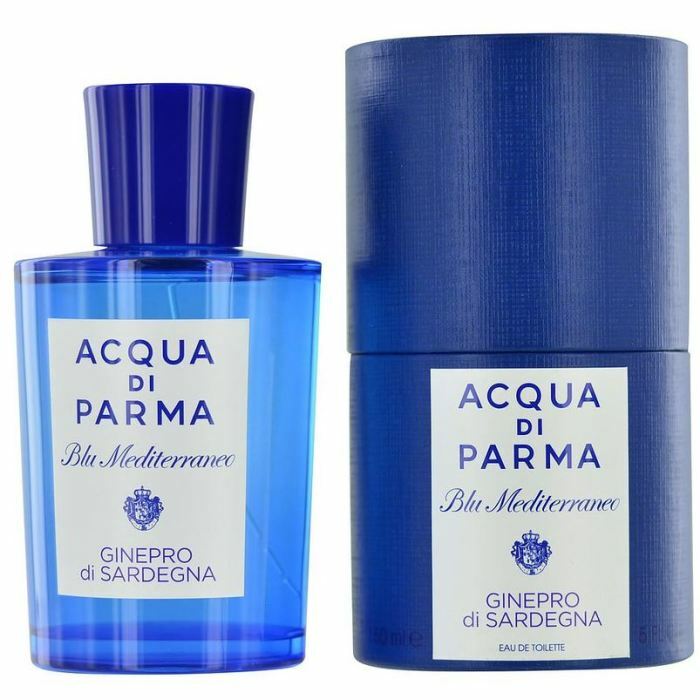 The unique scent of Blue Mediterraneo Ginepro di Sardegna by Acqua di Parma opens with a blend of juniper and spices, capturing the unique scent of the beautiful Italian Mediterranean. WatchMaxx.com sells only 100% authentic, brand new merchandise, complete with the manufacturer's packaging and a minimum 2-year guarantee with service or repair by WatchMaxx. WatchMaxx offers products from the world's finest and most respected brands, such as this Acqua Di Parma Cologne Ginerpo Di Sardegna Men's Fragrance 8028713570155.